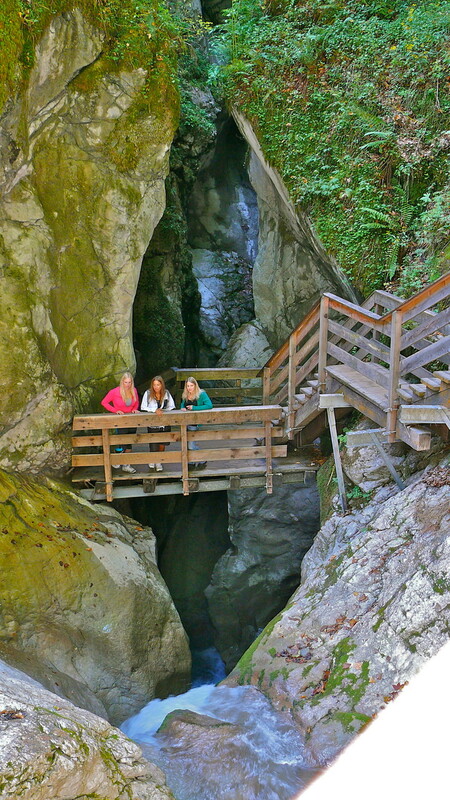 The history of Seisenberg Gorge, which is located in Weissbach near Lofer, began some 12,000 years ago at the end of the last Ice Age. 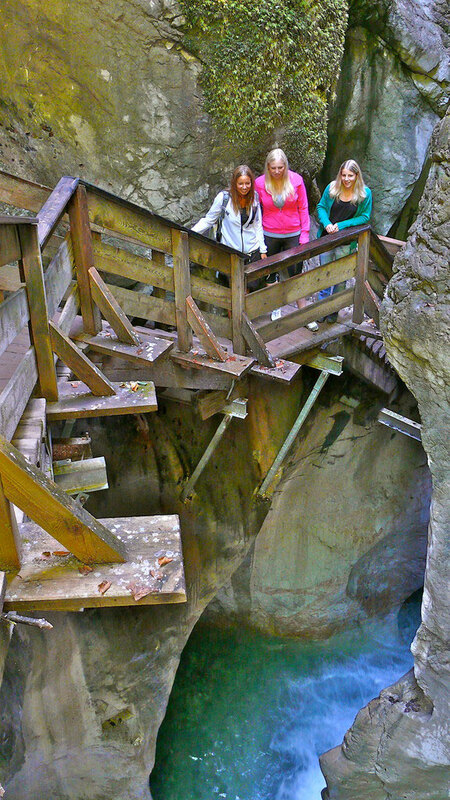 In the year 1831, woodcutters constructed a pathway through the 600 m long gorge. 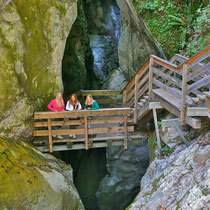 Nowadays, visitors can tour this imposing natural monument along its well-maintained pathways in about one hour. 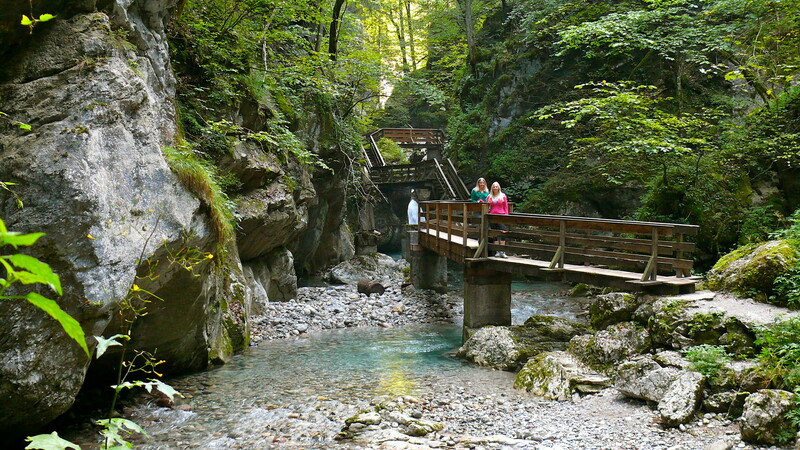 Known as the gateway to the Weissbach Nature Park, Seisenberg Gorge serves as an ideal starting point for numerous hikes, while a number of stops for the shuttle bus are located along the way. 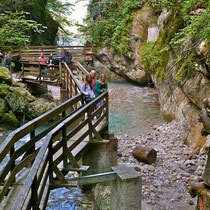 A hike by torch light is offered once a week and, accompanied by live folk music, promises an extraordinary experience. 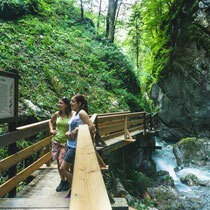 The Gorge Spirit turns any expedition through Seisenberg Gorge into an exciting experience. At several stops along the way, it will share fascinating facts about nature and the environment in the area. 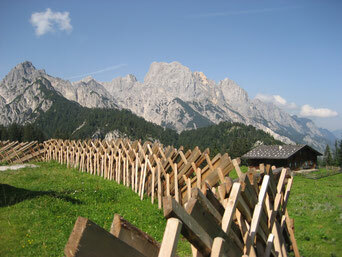 The Weissbach Nature Park offers a wide range of nature experiences throughout the year. 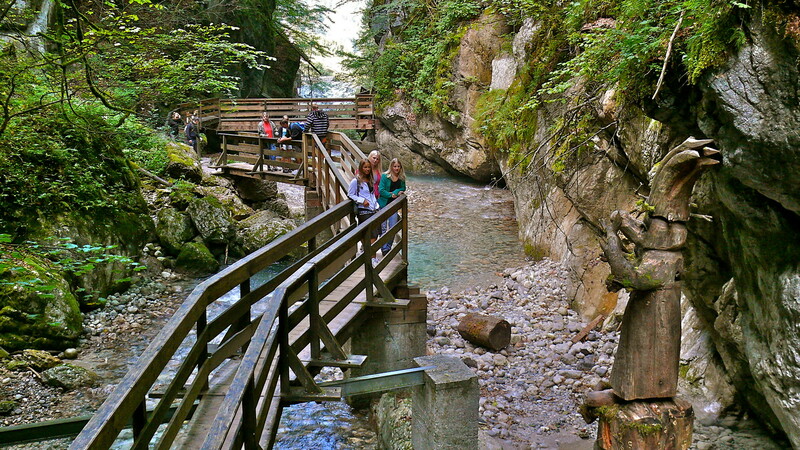 Gorges, canyons, low moors, mixed alpine forests, along with broad alpine pastures and fields, create a wonderful mosaic of habitats. 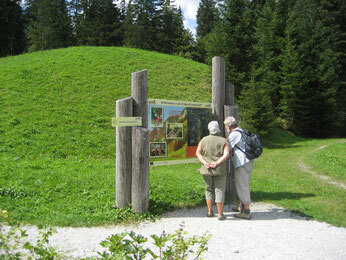 A centuries-old relationship between man and nature has left clear traces behind on the countryside, an can be discovered out on your own, as part of guided hikes offered by the nature park or while visiting the park´s information stations, as well as at the Schaustadel and the Kallbrunnalm. 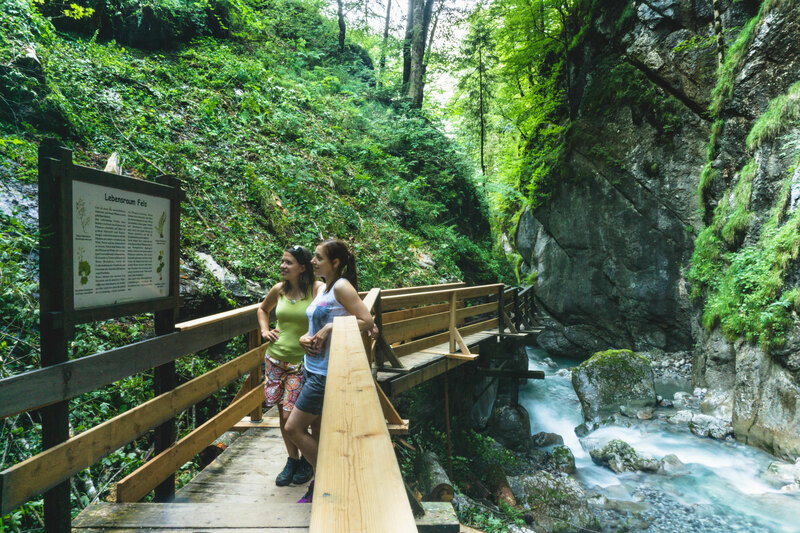 Setting out from Seisenberg Gorge, you can make your way along a pathway from Gasthof Lohfeyer to Gasthof Hirschbichl, featuring 11 interactive stations that cast light on the broad variety of hill farming that goes on inside Weissbach Nature Park. Using all of your senses, you will be able to interactively discover numerous habitats such as hedgerows, alpine forest, ancient trees or wetlands, along with all their “residents”, and learn about the often arduous work of the hill farmers themselves.